We hope you will take this opportunity to plan and attend the conference to share, celebrate and together create a new history for the endocrinology profession in India. The organising committee is gratified to have a line-up of highly renowned speakers consists of experts who agreed to shed light on research and issues that shape our endocrinology profession. Various programmes consisting of keynote, plenary, sponsored session have been assembled. Additionally, there will also be opportunities for students, researchers and practitioners to share their research and contribution towards the success of our professions through oral and poster presentations. The local organizing committee members from Odisha are looking forward to welcoming you at the conference in Bhubaneswar, "The Temple City" of Odisha. It gives me great pleasure in writing this note welcoming you to the 48th Annual conference of the Endocrine Society of India to be held in Bhubaneswar on 15th November 2018. Dr Abhay Sahoo and his team are working on the menu to give you a sumptuous academic feast. Past experience has shown that the organizing committee strives to go one better than the last one. So 2018 is going to be no different. The Annual conference of our Society for each one of us should be an opportunity for learning (and teaching), sharing new ideas for research and building bridges between colleagues in different parts of the country. It provides an opportunity for the young to showcase their research and to discuss corroborative multicentric studies. In addition, Odisha offers wonderful cultural and historical spots and you should make use of this opportunity by planning an extended trip. So please block the dates for ESICON 2018 and plan your trip in advance. 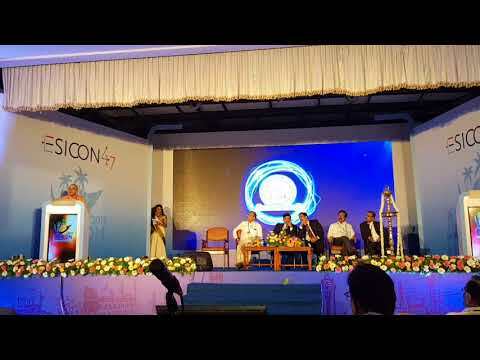 On behalf of the Organizing Secretary, we are pleased to invite you to the 48th Annual Conference of Endocrine Society of India (ESICON 2018) to be held at Bhubaneswar, Odisha, India. A high quality scientific program is planned, which will strike a balance between various subspecialties. It will be an excellent opportunity to exchange knowledge & strike friendship. We are confident that it will provide a rewarding experience in our chosen specialty and well beyond. 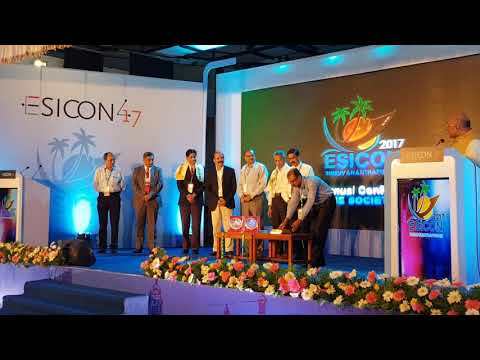 The Scientific Program for ESICON 2018 will be comprehensive with High quality presentations and discussions. We have confirmed the presence of various international speakers in addition to experts from India. The pre-conference activities includes an endocrine workshop, a CME program for physicians and a post graduate teaching programs. Bhubaneshwar is very famous for woven ikat fabrics, which can be purchased as readymade garments, fabric and saress. Appliqué worked fabric locally known, as Chandua is a typical Orissa handwork .And is most famous for its temples (there are over 700, mostly devoted to Lord Shiva) including the largest temple in the state the Lingraj Templer. The motley collection of caves cut into the hillside on the outskirts of the city are another popular attraction. and a rich cultural heritage. It’s close proximity to many famous tourist places – puri, konark, chilika, Udayagiri, Khandagiri, Nandankanan Dhauli, Odisha state museum, Regional science centre, Biju patnaik park, Ram mandir,just to name a few – has made it one of the most frequently visited cities in Odisha. The modern city was designed by the German architect it was one of modern India’s first planned cities. Bhubaneswar and Cuttack are often referred to as the ‘twin cities of Odisha’. Clean and green, Bhubaneswar,is the capital of Odisha is one of the most beautiful cities in the country.The organising committee extends a warm welcome to all members of ESI of the country. We hope to meet you in Bhubaneswar during the conference to exchange knowledge, relax, and refresh before resuming your duties back home. 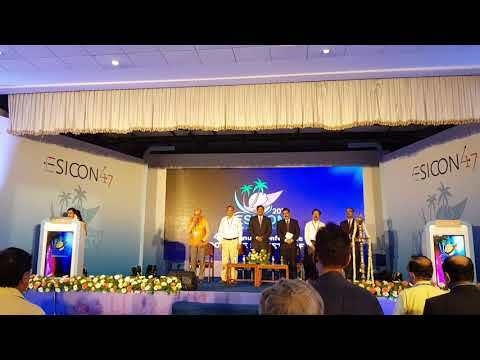 The weather in Bhubaneswar during conference period will be one of the best and most pleasant times to visit the city. ESICON 2018 will also give you an opportunity to relive nostalgic memories with beautiful old friends and build new relationships.